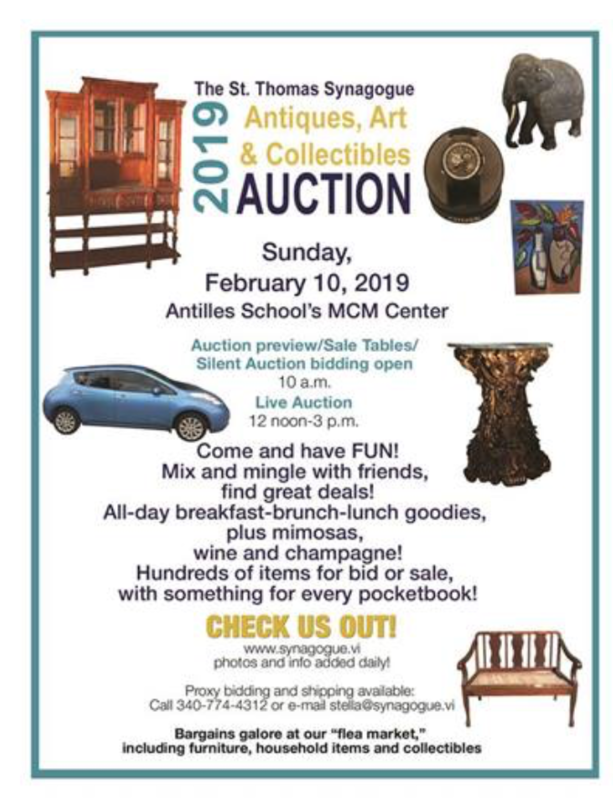 Happening on Sunday in St. Thomas is the 20thannual St. Thomas Synagogue Antiques, Art and Collectibles Auction. It is from 10am until 3pm. Live auction starts at noon. Organizers say there will be food, furniture art and more. All are welcome and items will be available for all budgets. Call 340-774-4312 or email stella@synagogue.vi with any questions.